Other highlights include an underground car park set from electronic musician Aki Onda and sound artist Akio Suzuki, the kosmische explorations of Hans-Joachim Roedelius (Harmonia) and Stefan Schneider (To Rococo Rot), and Ghedalia Tazartes' strangulated chanson and musique concrète. Israeli pianist Maya Dunietz will be playing the music of Ethiopian composer Emahoy Tsegue Maryam, while Berlin-based house producer Heatsick takes over The Art School with an immersive multimedia set. Glasgow-based DIY pop alchemist Ela Orleans unveils her collaboration with filmmaker Maja Borg on a bill that also features Tokyo avant-pop singer Ai Aso and resurgent cult street musician the Space Lady. The Space Lady, aka Susan Schneider, sings celestial lullabies over the spectral tones of a modified Casio keyboard, while dressed in a winged helmet and futuristic robes. 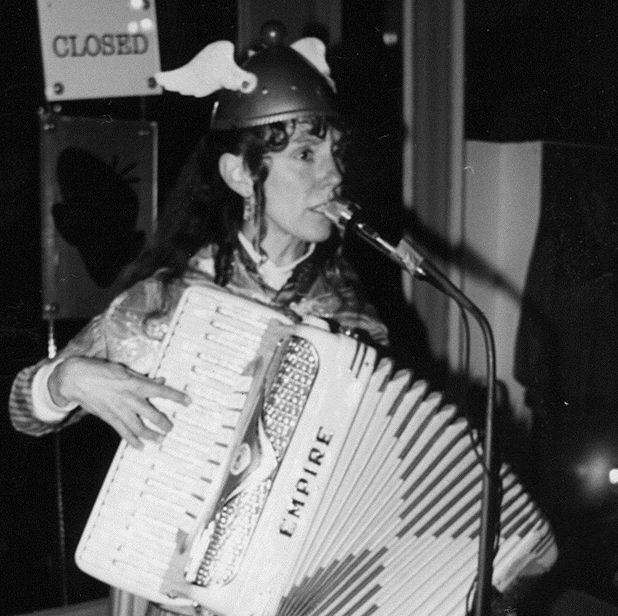 A fixture of San Francisco life in the 1970s and 80s, Schneider took to busking to support her family, performing otherworldly covers of rock and pop classics alongside her own material. She is currently on her first tour, following the release of Space Lady's Greatest Hits on Night Moves Records. Schneider is clearly delighted to be making music again: 'How many synonyms for “ecstatic” are there?!' she says. She developed the Space Lady sound with her late ex-husband Joel Dunsany, who suggested she run her Casiotone keyboard through guitar effects. 'I chose songs with positive messages, outer-space or supernatural themes, and lots of songs that I just liked. I was doing my best to recreate the songs as I heard them by the original artists, and it was just a happy accident they came out the way they did through the Space Lady filter'. Her space concept is no gimmick. Schneider claims to have had a number of extraterrestrial experiences which continue to inspire her. 'I have a fascination with UFOlogy and a sense of wonder about what exists in the universe. And it’s no less awe-inspiring what exists here on earth', she adds. 'I’ve actually just written a song for the US West Coast tour, a love song to Mother Earth, and a call to action to her inhabitants. It’s called 'The Next Right Thing' and the American audiences have loved it so far'. 'Peace, love, and compassion are the most important things... I also want to encourage people to follow their bliss, as Joseph Campbell famously said. I had given up my music to become a nurse several years ago, and was miserable trying to fit myself into that square hole. Thanks to my loyal fans – old and new – I’m back, following my bliss'. Counterflows, various venues, Glasgow, Fri 4–Sun 6 Apr. A festival of underground, experimental and international music, Counterflows marries the local to the international with artists from around the world collaborating with homegrown talent across Glasgow.